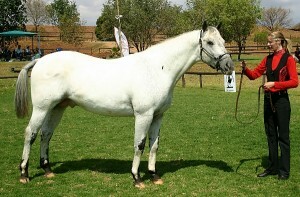 Being defined as a 'Breed with a colour preference', solid coloured - i.e. 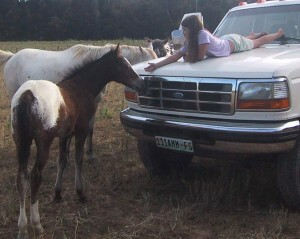 bay, black and chestnut foals do result from time to time in an Appaloosa breeding program, but most are predominantly white with dark spots scattered over the body. Appaloosas all have striped hooves, mottled skin and a white sclera around the eye, like the human, there are six main colour patterns . Leopard - which is white all over with brown or black spots over the entire body. White Blanket - where the body is dark with white over the loin and hips. 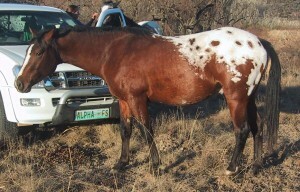 Spotted Blanket - as above with dark spots in the white area. 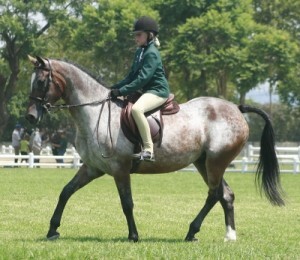 Appaloosa roan - a roan where the white spreads from the hindquarter, dark 'varnish marks' over legs, hips and facial bones. Snowflake - this pattern shows white flecks over a dark background. 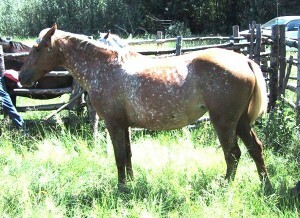 Few Spot Leopard - basically born a white horse but unlike the albino has dark legs and dark markings over the face. This is the strongest expression of the coloured gene and breeders have found that the use of such a stallion can give as much as 100 % spotted foals. 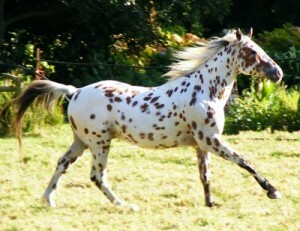 A few spot leopard is most often the result of several generations of Appaloosa to Appaloosa breeding - which explains the necessity of making use of selected outcrosses to maintain the coveted bright markings.